If you are interested in playing competitively this fall season (2017). Please try to attend the Quest group workout and parent meeting this Saturday, August 5, 2017. 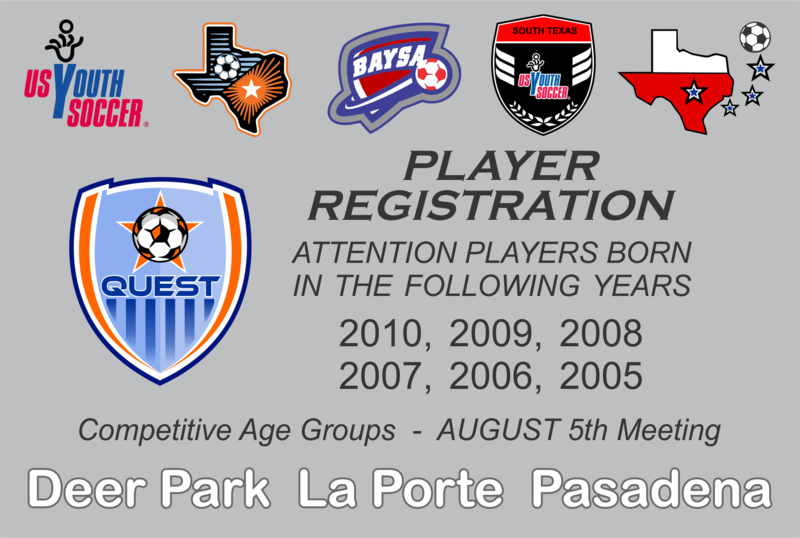 Players who have already registered and those wanting to register should attend. Players will go through a workout with Staff and Volunteer Coaches. Parents will receive information pertaining to league play (BAYSA).